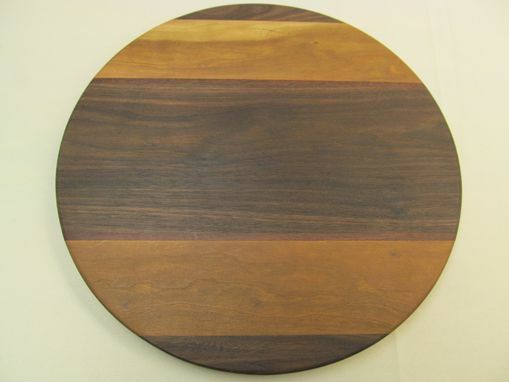 We have a round hardwood cutting board listed for sale. 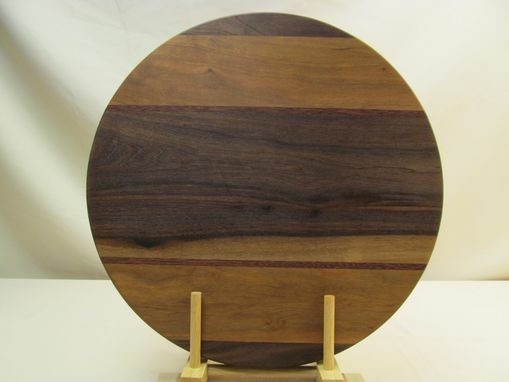 It measures slightly under 14 1/4'' in diameter and is 1 1/16'' thick. 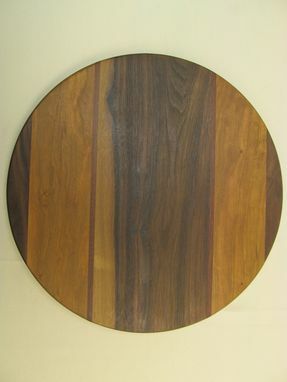 The woods are cherry and walnut, along with two1/4'' mascarey bands to accent the board. The food safe mineral oil finish on this board brings out the natural luster of the wood and since mineral oil is readily available and inexpensive, keeping this board protected and looking great will be easy.